Volvo ought to be tooting its horn over this one. The XC90, an SUV that has essentially been on sale for over 10 years, just captured a Top Safety Pick+ award from the Insurance Institute for Highway Safety. The TSP+ is a new title, reserved for cars that earn "Good" or "Acceptable" ratings on each IIHS crash test. This is a difficult feat for a new car - Toyota's new Corolla infamously failed to net a Top Safety Pick+ earlier this year - largely because of the new small overlap front tests, which have left many automakers struggling. But Volvo, somehow, was able to conquer the tests with a car that predates the original iPhone by a few years. The XC90 earning a Top Safety Pick+ is like Betty White taking the gold in the decathlon. With Volvo in the midst of working on the XC90's replacement, we're curious to see just how well a more modern version does in crash testing. 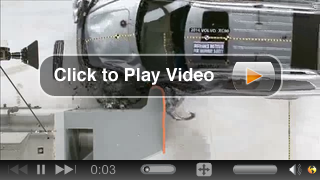 Take a look down below for the crash test video and a press release from IIHS.